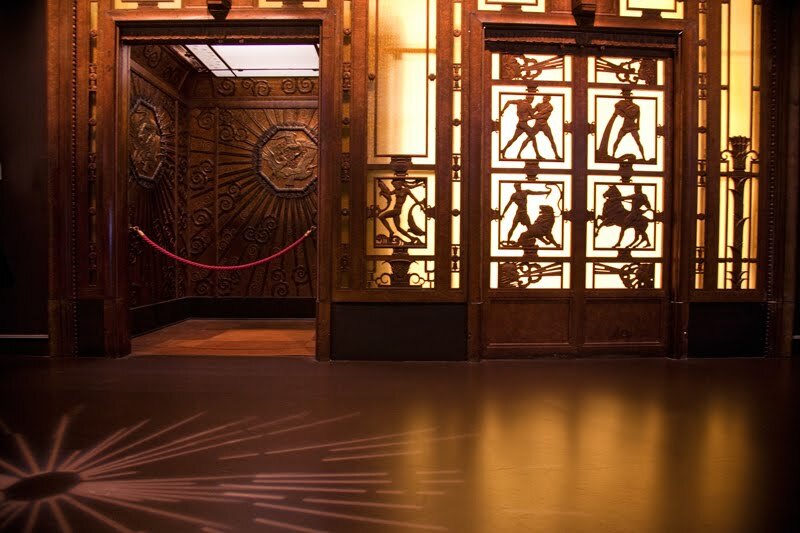 An original elevator from the department store Selfridges, now in the Museum of London. Just over a hundred years old Selfridges was the first store to allow customers in to "just browse". In Victorian times one only went into a store to make a purchase. It was unheard of to actually leave without having bought anything. ITs amazing how times change. What an elegant elevator! We had a posh department store in Johannesburg when I was a kid called John Orrs that had a similar looking one too with a lady who operated it. Thank you Mo, didn't know. That is some fancy elevator! Those door panels are gorgeous! Interesting information about the browsing. I'm so glad that has changed or I'd never get into a store. Hmmm I can't imagine Mr Whitely allowing anyone to leave without buying something. Of course he got shot! Absolutely beautiful. How fun to be able to shop in an atmosphere like that! 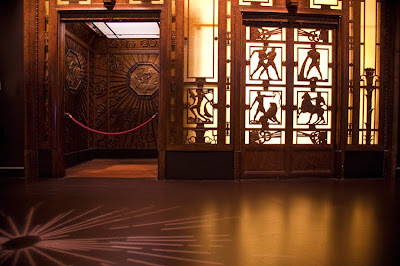 The old elevators were so elegant! Wow, thay is soooooo pretty! Today it is THE CUSTOMER IS ALWAYS RIGHT.... or at least NEARLY always. Great image and interesting posting. Gorgeous Deco work! Love it! I saw that just last week. What interesting bits of info you get - I hadn't got any idea that browsing wasn't common in Victorian shops. I suppose most of them were too small.